I brought this recipe to my friend's house along with the Cauliflower Medley and Peach Cobbler. Of the three recipes I brought, this one was the most liked. My friend's son said it was delicious and my friend asked where I got the recipe. So, I know this one's a keeper. The original recipe is touted as a salsa alternative. I'd say that's accurate. To keep points low, I brought a bag of baked tortilla chips. These were the perfect companion for this dip. The recipe also suggested low fat crackers. I tried the dip with reduced fat Triscuits and that was a pretty good match, but I'd say baked tortilla chips were the best. 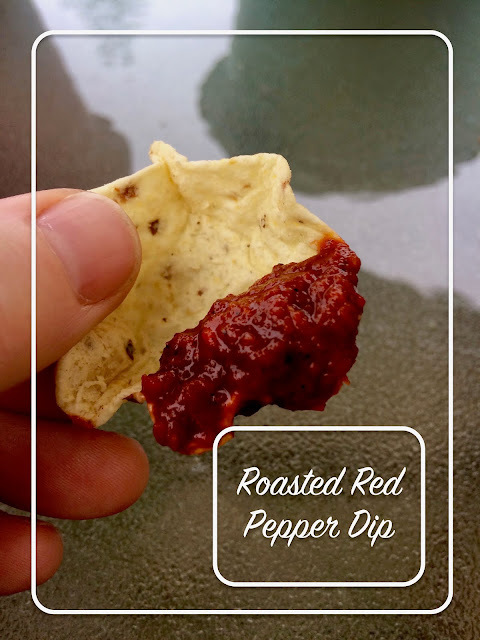 So, if you're sick of salsa and still want a spicy treat, give this recipe a try. It doesn't have any points value, but it does have a lot of flavor! Find the original recipe on page 7: 100 Favorite Weight Watchers Recipes. Mix in blender and serve with low fat crackers or chips.